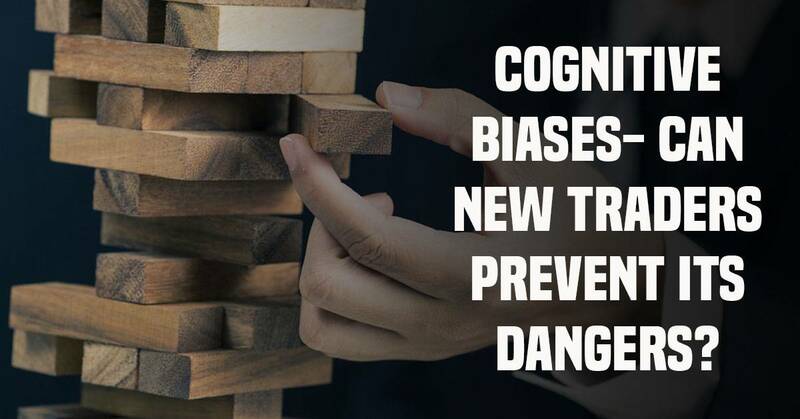 Cognitive Biases – How New Traders Can Prevent Its Dangers? Recently many investors lost their money in stock market – so you’re now skeptical in every trade. You’re a know – it – all – so you don’t want to listen to even the sanest of trading advices. You want to control every market move – so you keep on buying – selling stocks even when seem unnecessary. In short, you’re (another) victim of cognitive bias, a danger that riddles majority of new traders. Simply put, cognitive bias is a systematic pattern in the thinking process that prevents people from making rational decisions. There are many types of biases, and tackling them have always been a big challenge for the traders. Are you a trader? How well do you deal with this challenge? The first step in coming up with any solution is to identify the exact problem. Meaning, in order to counter cognitive biases, you must first identify the jam that’s preventing rationality in your trading decision – making and strategies. You let recent trends and downturns cloud your judgment. You’re actually scared and a victim of analysis – paralysis. But in the garb of being thoughtful, you avoid trading even when your analysis ticks all the safety parameters and vouches higher returns. This is a herd – like mentality. You saw people trading in bull market. It doesn’t go with your analysis and long – term plan but you still go for it. Because, well, that’s what others are doing! You heard “news” from many people so you gave up you long – hold positions even when that news didn’t make sense to you. You don’t want to lose money. Who does? So in order to avert these losses, you learn to take small and marginal wins. To play safe, you keep your take – profit position low. You don’t even have problem with no profit as long as there isn’t any loss. You’re firm in your ideas and decisions. And you don’t like others who have contradictory views to yours. Even when everything points south – even when market trends suggest you against it – you head north. Because you think nothing can go against your confirmed trading analysis. Taking responsibility of your every trading decision and action is the last thing you know. When everything is right, you take the credit for it. But when things fall out of the plan, you blame everyone but you. When not holding yourself accountable, you stop yourself from learning. There are many other types of biases that traders fall victim to. How you do identify them? Simply check if there’s anything that’s stopping your rationality. Of course, this isn’t as simple as the words make it sound; after all, there’s also bias blind spot where you find other people’s bias but fail to recognize your own cognitive biases. Point is that being rational in your trades is very important. And if you aren’t already, get there quickly!